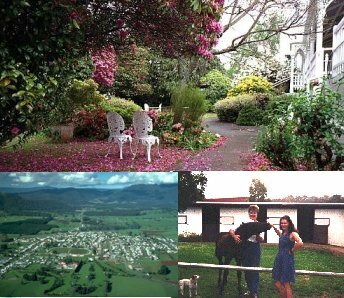 Welcome to the new Scottsdale, Tasmania, Australia Website. We hope you like it. This site is not about Scottsdale, Arizona, it is about Scottsdale, Tasmania, Australia. Scottsdale really is a super place to live, as well as visit on your holiday. It is very easy to get to, it is a great place to base yourself while exploring the attractions of the area, the beaches, forest, National Parks...what a great place for your next holiday or vaction! The links at the top will help guide you around the site easily. For the latest in local news that affects the community, watch the bottom of your browser window. For info on climate, general info and distances from attractions, see "General." For a great place to stay, click on "Accommodation." This site recommends Anabel's of Scottsdale, quality four-star motel accommodation and gourmet restaurant located in an olde-worlde garden, in the centre of town. Click on "Accommodation" for more information about the new BELLE COTTAGE, a modern self-contained cottage available for overnight accommodation and long-term stays. Beautiful cottage garden.